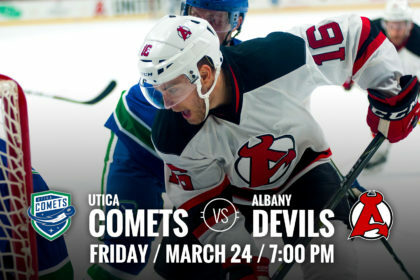 ALBANY, NY – The Albany Devils host the Utica Comets Friday for a 7 pm puck drop at Times Union Center. 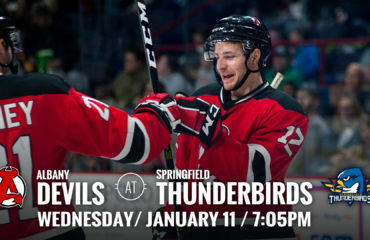 The Devils are coming off a 3-1 loss Wednesday against the Bridgeport Sound Tigers. They hold a 34-27-2-2 record. The Comets are coming off a 5-2 win Sunday against the Providence Bruins and hold a 30-25-7-2 record. Division Matchup: The Devils currently hold third place in the North Division and are eighth in the Eastern Conference with 72 points. The Comets are just three points behind the Devils with 69 and stand in fifth in the division and tenth in the conference. Playoff Watch: The Devils are involved in a division battle to make the 2017 Calder Cup Playoffs, where five teams are fighting for the four spots. 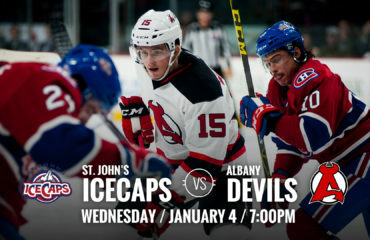 In the North Division, the Devils, Comets, Marlies, Crunch and IceCaps are all within six points of each other. Last Meeting: This is the Devils and Comets last regular season meeting during the 2016-17 season. 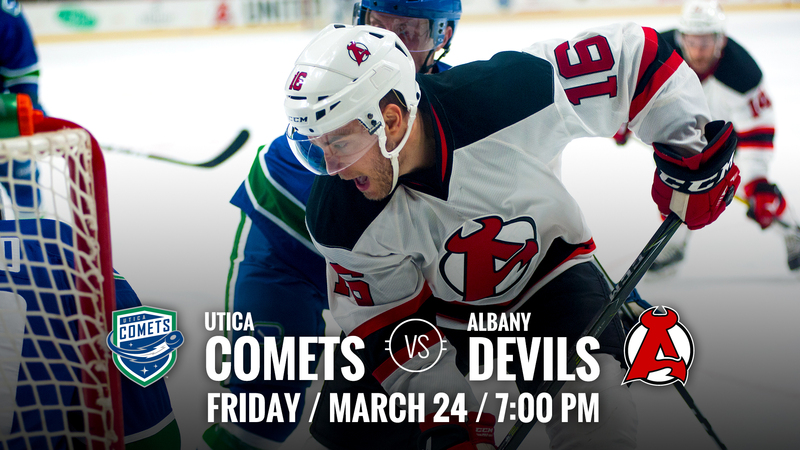 So far this year, the Devils hold a 2-5-0-0 record against the Comets. 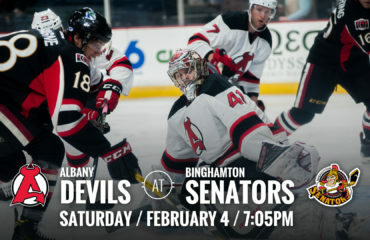 In the past five years, Albany holds a 14-5-2-0 record against Utica.